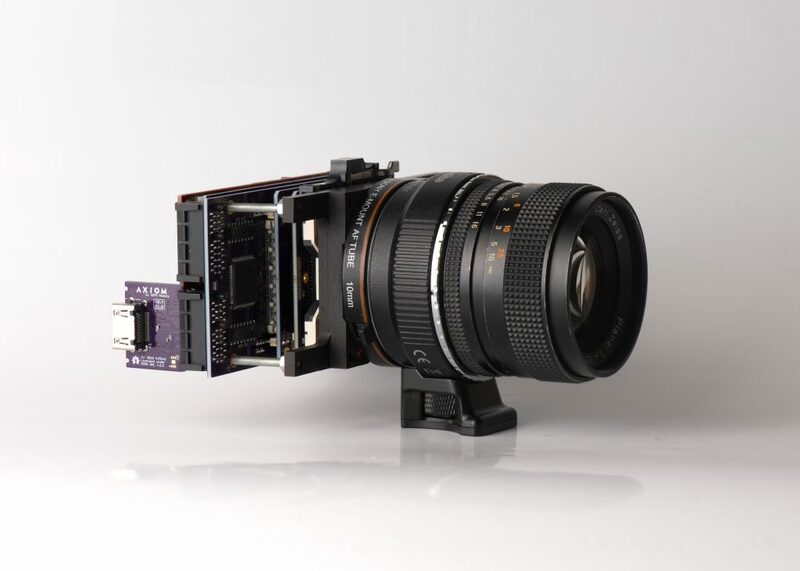 The Horizon 2020 project AXIOM laid the groundwork for the development of the first open source professional digital cinema camera that can be produced, modified and adapted by everyone. AXIOM is driven by a consortium of five organizations in three different EU countries: af inventions (Germany), University of Applied Arts Vienna (Austria), Antmicro (Poland), apertus association (Austria), and DENZ(Germany). AXIOM is much more than simply a camera, it is an open camera platform. Whereas people are understandably cautious of buying camera systems which will be outdated within months upon their release, AXIOM cameras are built as a system that will evolve over time. They implement FPGA based designs and grant the opportunity to update interfaces, codecs, firmware and new functionalities via simple software downloaded directly to the camera. The AXIOM ecosystem, a forum for developers, producers, users and anyone interested to interact, will further serve as a hub to actively encourage and support collaboration. The project AXIOM Open Source Cinema was undertaken with the Artistic Technology Lab at the University of Applied Arts.